Do you have time for deep play? June 4, 2016 June 4, 2016 childongroundLeave a Comment on Do you have time for deep play? Dirty Playologist! I will be blogging on the ideas we talked about more in depth, talking about aspects that I want to dig deeper into or related ideas to help you put the ideas in perspective in your classroom or homeschool. I look forward to Kisha adding in her voice sometimes as well! Our first two episodes were on play schemas and how to support them in your play. I wanted to get a little into how to allow that play in your environment. We talked a lot about the schemas and the repetition and allowing kids to explore the schemas as well as allow the learning that branches out from schemas – math concepts, social concepts science concepts etc. 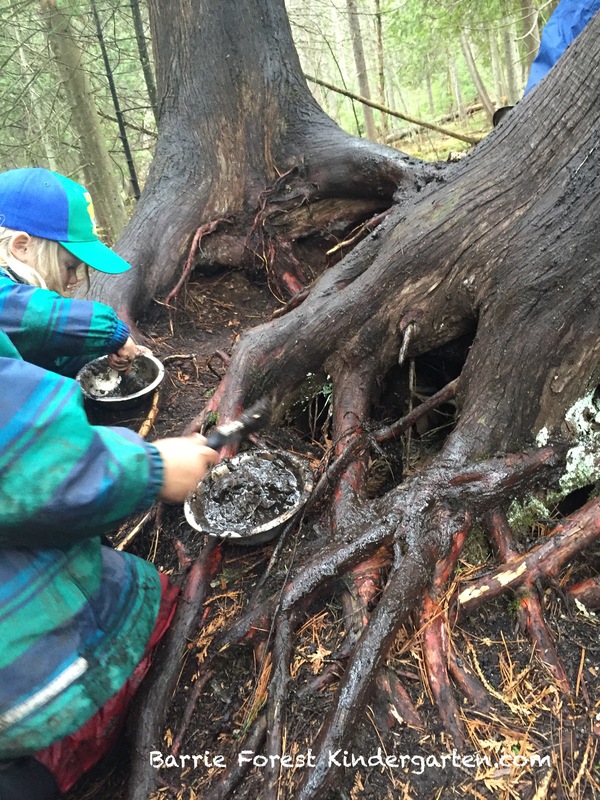 As early childhood educators we need to provide materials but being in the forest there are days that they will request no materials or when they ignore materials that are provided. Yet everyday the children seek out and explore schemas to learn from. So materials are not essential for exploration of play schemas and learning that results from the play schemas. The one thing that I see as being essential is time. Having large chunks of time to really explore, repeat and learn. I am not talking about 30-40 minutes that free time in structured schools allow for. Why is that not enough? It can take a significant amount of time to get deep into play, anywhere from 10-30 minutes. How long depends on 3 factors. 1. Familiarity of a place – if a place is new or different it will take longer to get deep into play. The more familiar a place is, when they know where the materials are, where they remember a game, exploration or play scenario they have set up that they want to revisit the faster they will get into deep play. 2. Familiarity of others – in much the same a way place is a factor other children are a factor as well. Trying to negotiate with a child for the second or third time takes a lot more effort and concentration than negotiating with a child after knowing them for a year. Also familiar games and roles lessen the amount of set up time so they can get deeper in the play faster. 3. Familiarity of yes environments – this means yes environments for exploration, for choices and for play with almost no rules or constraints. A child who is not used to having environment where they are in control of their play may check in with adults or other children to make sure their decisions are ok. This can be all the way from stopping to ask “can I do this?” to even just stopping their play to look at an adult. But the result is the same the play is stopped, interrupted and must begin again. Every new beginning means it takes longer to get back into the play. The longer kids are allowed to play the better and faster they get at getting deeper into play. Kids who are routinely given 30-40 minutes spend all of, or almost all of their time trying to get deep into learning play without ever really reaching it. To really reach that deep learning play children must be given large chucks of time of more than an hour to play with the schemas, to play with the concepts the schemas naturally transition to and to just be able to have fun. 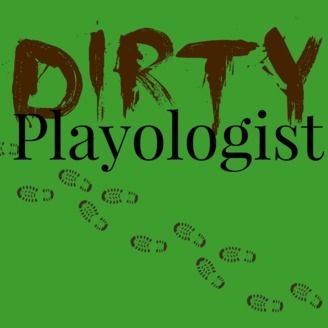 Or download from iTunes – just search dirty playologists!